These data reflect the average composition of continental crustal rocks. Units are parts per billion by weight. Data given in different sources vary quite widely, reflecting the difficulty in assessing these numbers. Values given here are estimates of the average composition of continental crust and are derived by a consensus and averaging process for data abstracted from references 1-8. Values for the more rare elements are probably accurate to within an order of magnitude. Values in any particular location may be very different from those given here. 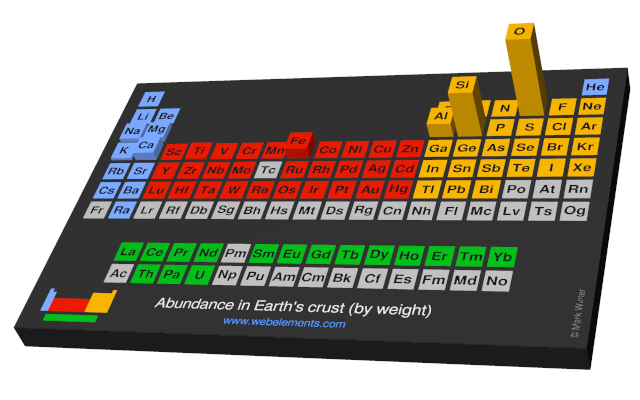 Image showing periodicity of the chemical elements for abundance in Earth's crust (by weight) in a periodic table cityscape style. 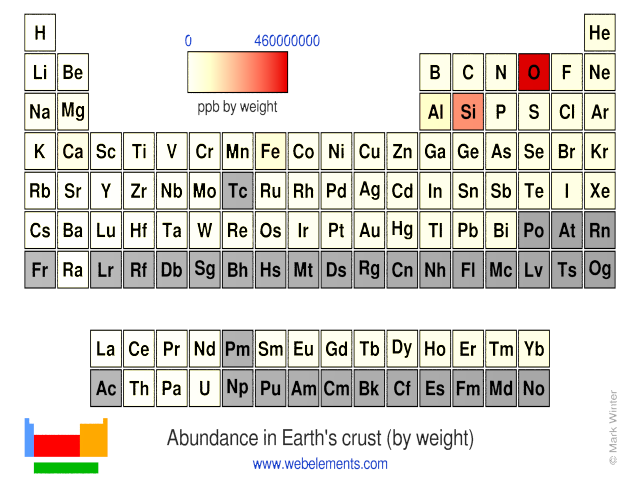 Image showing periodicity of the chemical elements for abundance in Earth's crust (by weight) in a periodic table heatscape style. 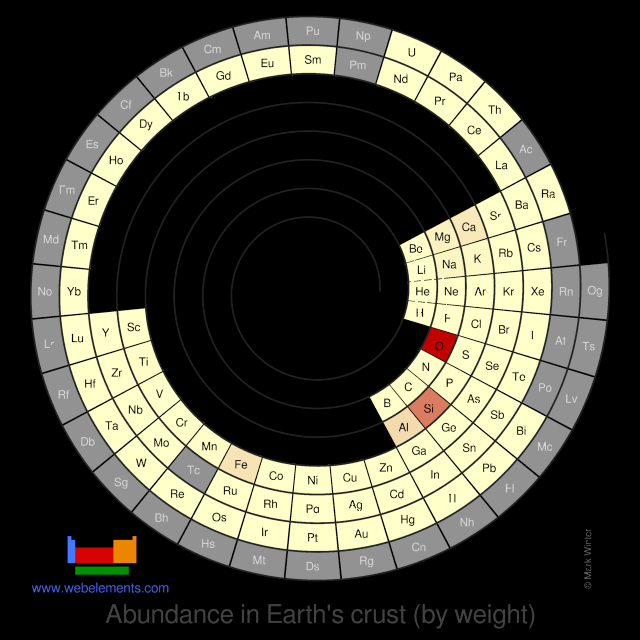 Image showing periodicity of the chemical elements for abundance in Earth's crust (by weight) in a spiral periodic table heatscape style. 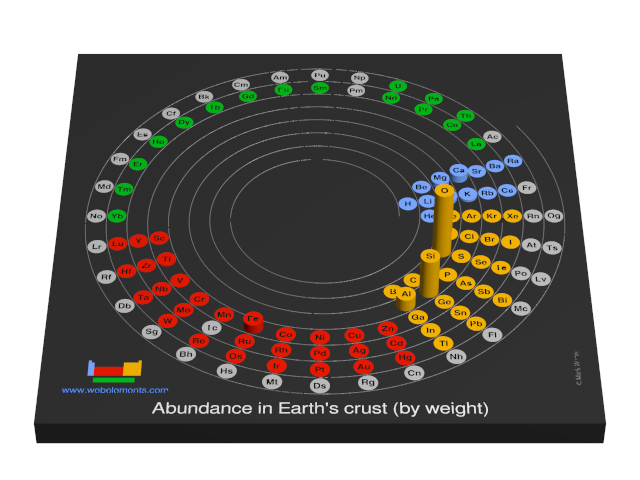 Image showing periodicity of the chemical elements for abundance in Earth's crust (by weight) in a 3D spiral periodic table column style. 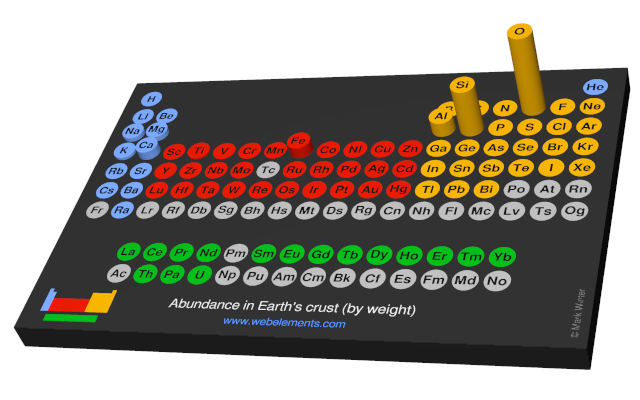 Image showing periodicity of the chemical elements for abundance in Earth's crust (by weight) in a 3D periodic table column style.